The Richest Man in Babylon - Seville Mortgage - Your BEST Mortgage is One Click Away! "What can a book written in the 1920s tell modern investors about their finances? A whole lot if it's George Clason's delightful set of parables that explain the basics of money. This is a great gift for a graduate or anyone who seems baffled by the world of finance and a wonderful, refreshing read for even the most experienced investor." Read by millions, this timeless book holds the key to success-in the secrets of the ancients. Based on the famous "Babylonian principles", it's been hailed as the greatest of all inspirational works on the subject of thrift and financial planning. 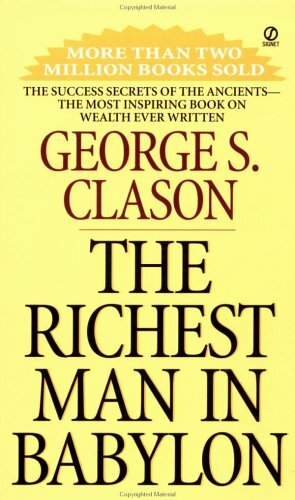 This celebrated bestseller offers an understanding of - and a solution to - personal money problems, revealing the secrets to acquiring money, keeping money, and making money earn more money.